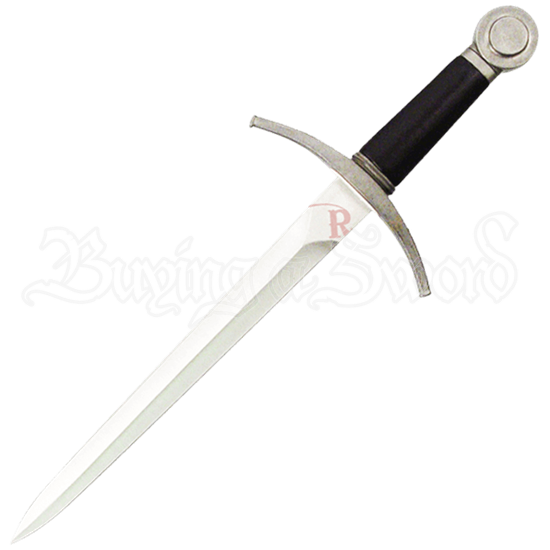 For those who are enamored with the designs of the Middle Ages there is this Handmade Medieval Knights Dagger with Scabbard. This dagger displays a simple design, with a look that makes it appear as if it were forged in a distant era. A ridge runs down the center of the stainless steel blade, which features a false edge and a sharp point. The steel guard displays a curve toward the blade. Leather-wrapped wood makes up the handle of this dagger, and the pommel is a traditional disc shape. Included with this dagger is a wooden scabbard with a steel drag and throat. No matter what role you choose to take on at your next event, make sure you have this handy dagger at your side to complete the look.